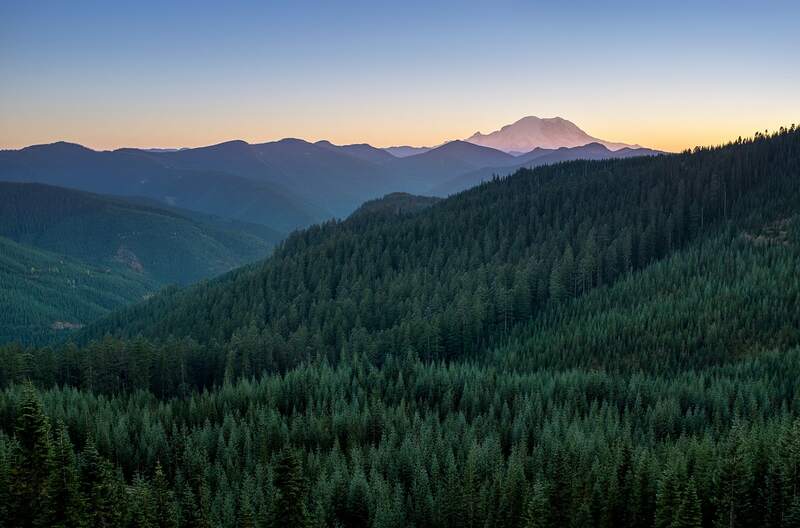 Very similar to the Sierras, we had heard for hundreds of miles about the raw beauty awaiting us in Washington State. 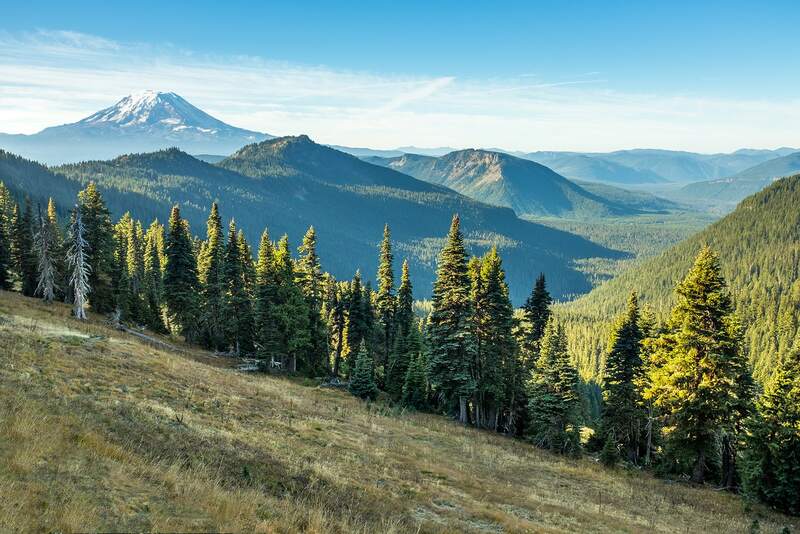 Giant conifers drip with lush green mosses, set atop a landscape of jagged and snow-capped peaks. 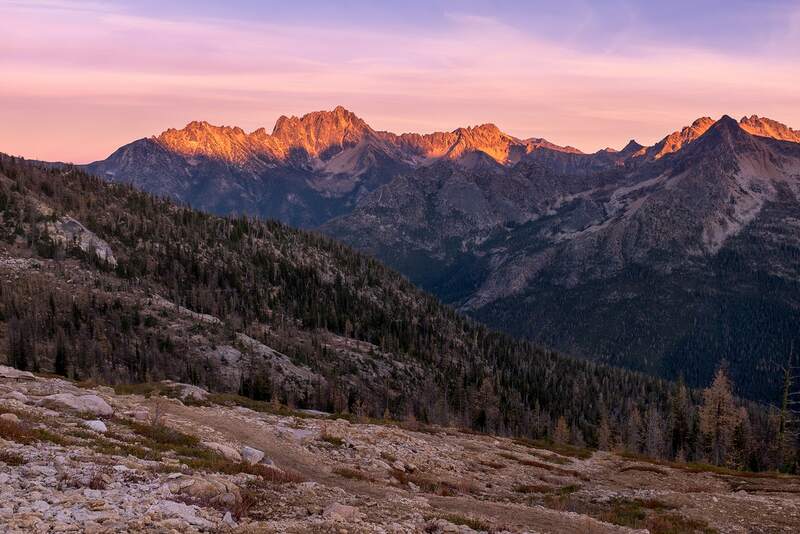 At lower elevations, sprawling alpine meadows unfold to display the many colors of wildflowers that are so iconic to the Cascade Mountain ranges. After the ease of hiking in Oregon, the tread of the trail in Washington was particularly challenging. 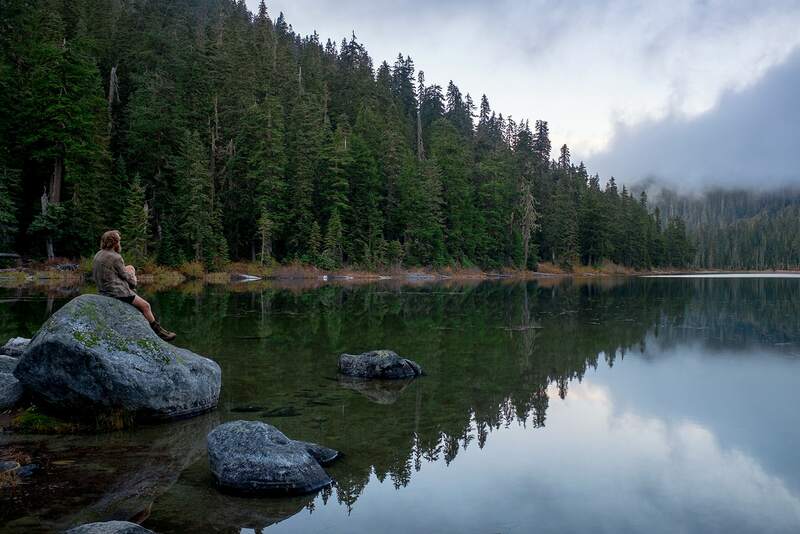 While a few parts of the PCT skirt famous and well-traveled regions (such a Mount Rainier), much of the trail is very isolated from civilization. The route travels along footpaths seldom traveled by day hikers. By this point it was September, and with so few travelers this late in the season, we enjoyed a number of days barely seeing a soul. This lack of foot traffic also meant that the trail, which had been so well maintained in earlier sections, became more challenging to traverse. We encountered many sections where bridges had been destroyed by floods or avalanches and large portions of the trail littered with 'blowdowns' (large trees that had fallen across the trail). From the moment we took our first steps away from the Columbia River, we also noticed a massive increase in elevation gain each day. Gone were the days of hiking 30-35 miles. 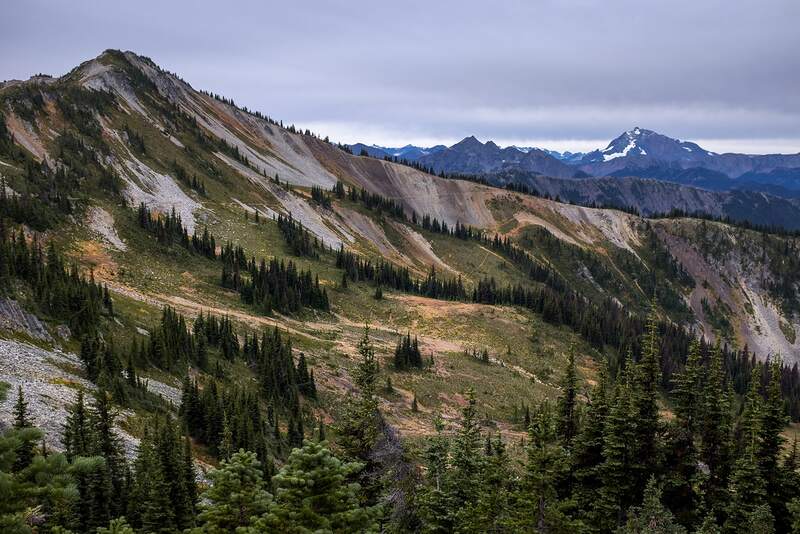 In this terrain, even a 20-mile day was a hard-earned accomplishment. 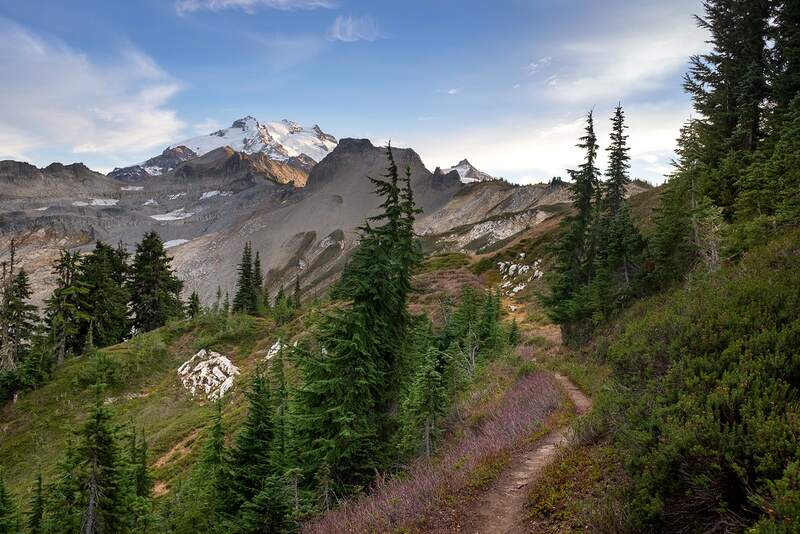 It would be a difficult task to select a favourite section of trail, as much of it is consistently stunning throughout the state, however we had heard of a section of outstanding beauty in the 'Goat Rocks Wilderness' park. True to its name, we saw many of the elusive white goats climbing high on the talus slopes of the surrounding peaks. It was, however, the panoramic vistas that we had not been prepared for when we began to hike the ominously named 'Knife’s Edge' trail. That morning, we had awoken to beautiful clear skies. The weather had been remarkably stable over the last couple of days and we were ecstatic to know that we would likely have good weather for this exceptionally beautiful portion of the trail. Climbing ever higher, we soon left the vegetation and trees behind, as we began to cross hard and sharp fields of talus. The rocks underfoot sounded like cracked and broken dishes as we picked our way across the desolate landscape. As we continued even higher, we passed a number of large ice fields where the trail would become difficult to spot. Eventually, we crested the ridge overlooking the precipitous 'Knife’s Edge' trail ahead. The trail rides atop the ridgeline for a number of miles with cliffs and steep talus slopes dropping off on either side. It felt as though just one misstep would send us tumbling down either side of the mountain. I could only imagine how terrifying this trail could be during a storm. Thankfully the skies remained clear and the 360-degree views were unobstructed for as far as the eye could see. After a number of hours scrambling and sliding down from the ridgeline, we finally arrived on firm ground, laughing with reddened, wind-burned faces. We had intended to arrive at the White Pass Ski Resort that evening, but our pace had slowed considerably over the past few miles. As the shadows grew longer, we became determined to hike as far as we could that night. We only stopped once for a very quick dinner alongside a small lake as the sun began to fade behind the horizon. We hiked late into the evening under the glimmering light of the stars. That night we were treated to our first real views of Mt. Rainier looming in the distance, illuminated by the soft light of a full moon. Far in the distance, we could see the red glow of one of the many forest fires that had been ravaging the state. We had been incredibly lucky by arriving in Washington so late in the season. The 2015 wildfire season was the largest in Washington State history. 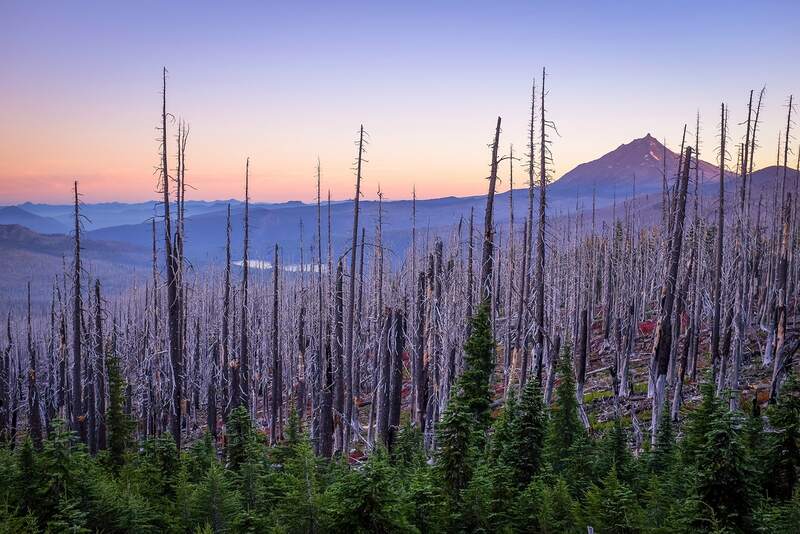 With more than one million acres burned between June and September, many hikers were forced to end their thru-hikes at the Oregon-Washington border. Arriving after the peak fire season, many of the trails that had been closed were only just beginning to reopen. About midway through the state, the trail crosses interstate I-90 at Snoqualmie Pass. 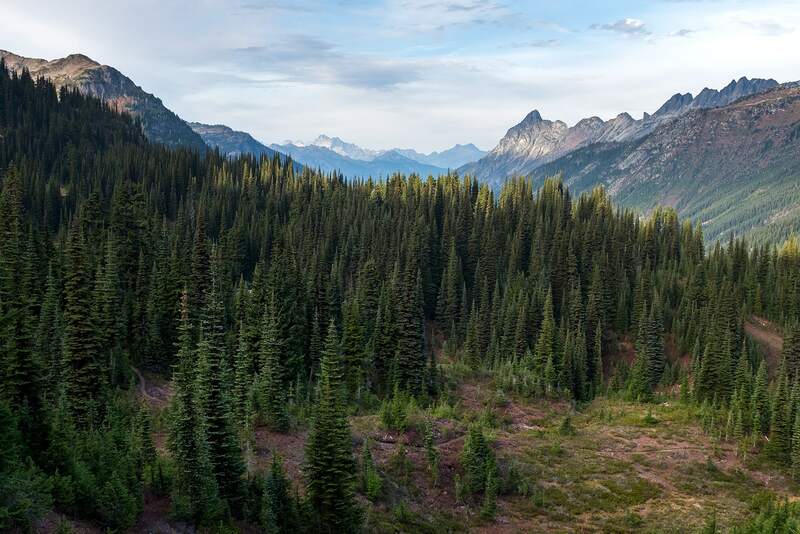 The town of Snoqualmie Pass is little more than a stop on the highway, with a few ski resorts, restaurants and a gas station. We checked into the Summit Inn, a rather dated looking hotel that was centrally located near other amenities in town. At the time, we had intended to just stay overnight, giving us just enough time to clean up and resupply for the next leg of the journey. Little did we know, we would end up trapped in this place for three days. We arrived mid-morning under a dull and gloomy sky, but within hours the skies darkened and the rain began. After showering and washing our clothes, we enjoyed a large meal together in the adjoining restaurant. Peering out from the window and into the miserable weather, we were glad we had a warm bed and a dry room to return to that evening. We awoke the next morning to a sky unchanged and the hammering sound of heavy rain blown in gusts against the window pane. Thankfully, a number of friends had arrived earlier and had wisely decided to wait out the rain. There was an odd vibe about the place; it almost felt like being stuck in time, as we woke each day to the same conditions. 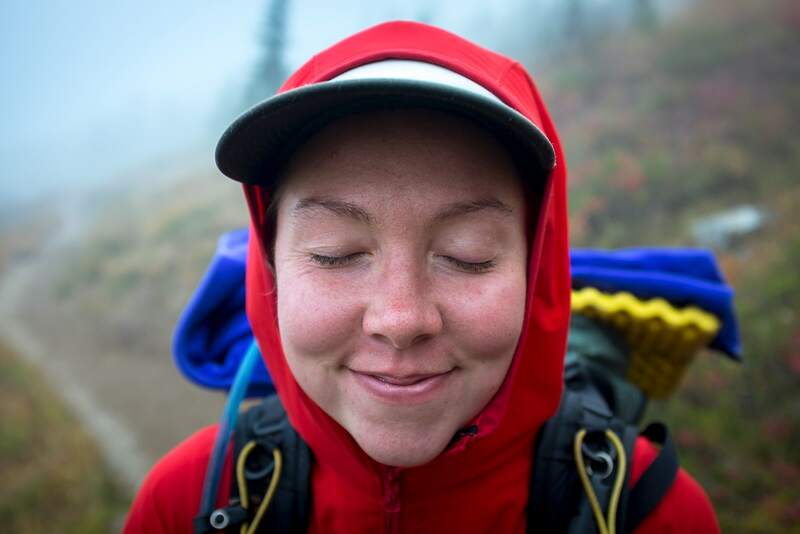 While thru-hikers usually look forward to any town stop, everyone was growing restless in the unrelenting rain. Our patience for the weather drew thin after the second night of rain. Throughout that day, much of the heavy rain seemed to have been replaced by drizzle. It was still very cold, but we were very cognizant of the ever-closing window of time to complete the trail. We made the decision to leave town that evening and camp about a mile up the trail. We wanted to avoid the cost of an additional night at the hotel, but more importantly, we needed to keep moving. We knew the rains were unlikely to abate and it would be difficult to leave the warmth and comfort of the hotel room if we awoke to another rainy day. 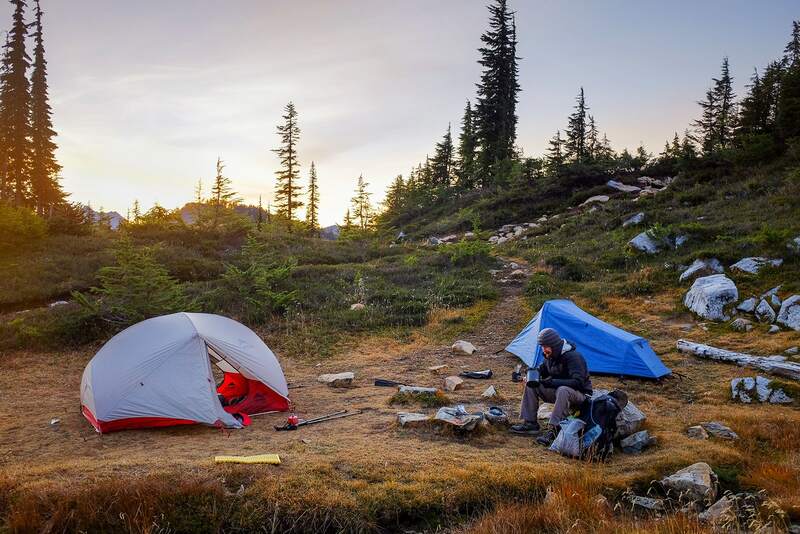 The next morning we packed our soaking tent quickly and began the long and arduous climb out of Snoqualmie Pass. Everything surrounding us was enveloped in a thick, white fog. Towering conifers would appear for only a few moments before again disappearing into the white abyss behind us. The climb was steep, unyielding and continued for hours. Eventually, we reached the tree line and the forests that had protected us from the wind and rain disappeared. We were hiking alongside another hiker who was equally as eager to reach the next town. As we hiked along the exposed route, the rain and wind continued to pick up in strength. We were already soaked to the bone, but rather than improving, the weather appeared to be getting much worse. We were prepared with gear appropriate for summer and early shoulder season hiking. We had endured a number of rainstorms before, but not at temperatures hovering just above freezing. As long as we continued moving, we would likely ward off the effects of hypothermia, but eventually, we would have to stop. 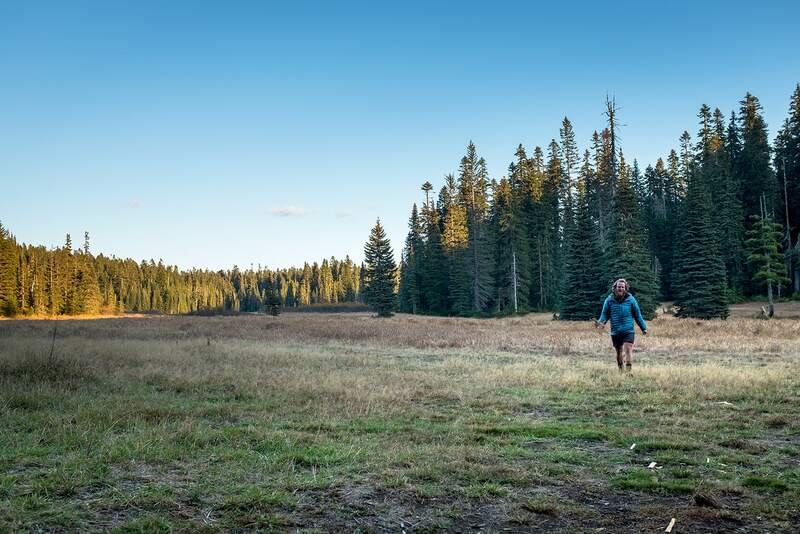 The distance to the next town was over four days away, traversing some of the most remote miles of the PCT. With no road access, we couldn't rely on any assistance should something go wrong. That being said, we stood in the driving rain debating until we made the painful decision to turn back and return to Snoqualmie Pass. Walking those hard-earned miles back into town was demoralizing, but ultimately it was the right choice to make. It was not the only difficult choice we had to make when hiking through this challenging section. The weather never completely let up, but we were able to leave town the next day under better conditions. The rain had been reduced again to a light drizzle and the fog had sunk to the valleys revealing the formidable and beautiful mountains around us. The first three days had been filled with challenging terrain, climbing and descending along a seldom-used trail. The rain continued each day and again had increased considerably by the third day of hiking. We heard the roaring sound of rushing water long before we came upon the source. As we descended into a steep gorge, we caught a glimpse of the torrent of whitewater flooding the riverbed below. Even from this height, we were intimidated by the sheer strength of the current. We had crossed countless rivers before, but none so violent as this. We had been warned that the rivers in the Cascade Mountain ranges can quickly flood and become impassable under heavy rain. As we approached the water's edge, the sound of rushing water was deafening. Sam yelled to me "There's no bridge!". The water was so loud that we could only hear one another if we were yelling directly beside one another. I shouted "I can't see a way across... let’s split up and look for a better crossing. You go south and I'll go north!". We both carefully picked our way across the unstable rocks surrounding the steep river bed, but our search didn't go far. I quickly reached the point where the sheer walls of the gorge closed in tightly around the raging waters. Further down the river, thick vegetation and a steep drop cut off our ability to search for a safer crossing downstream. I signaled to Sam to look at a giant log that had clearly been used to cross the river in better weather. "This is our only option," I said. "The other logs further downstream have all been flooded by water." The huge log was perched a little higher from the raging waters below, but even so, the water was splashing over the center of the log. "I'll go first to check it out!" I shouted to Sam. We had always been taught to unclip your backpack when crossing rivers. If you get swept into a raging river, it is important to be able to cast off your heavy pack to avoid drowning. Furthermore, in situations where the heavy water rushes by immovable objects such as rocks or logs, it can be very easy to become pinned and drowned against these objects. Therefore, it is imperative to regain control and reach the shore as quickly as possible, even if it means losing your gear. Very slowly, I began to crawl across the log on all fours. Trying not to look at the churning waters below, I remained focused on the far side of the log. Making slow and steady progress, I suddenly felt a large tremor through my hands. I heard Sam scream, as the waters that had been splashing the center of the log began to push the far side off balance and towards the water. I stopped and tried to regain my balance, slowly backtracking along the log and praying it would remain still. Thankfully, I stepped back on solid ground and gave Sam a hug, still shaking from the fear. I still remember climbing out of the gorge that day. We were both utterly deflated and on the verge of tears. We thought we had come this far only to be stopped by a river only a few hundred miles from the border. If we could not cross the river tomorrow in better weather, we would have to return to Snoqualmie Pass, a trek back that would take another four days. On top of that, we had only enough food for the last day of hiking towards Skykomish. Tomorrow we would make the decision to return or go on. If we decided to return, our journey on the PCT would likely be over, as the weather window had almost closed. Just a few degrees colder and it wouldn't be rain we would be battling, it would be feet of accumulating snow. Incidentally, it was also Sam's birthday. That night as we camped with the roaring river in the distance, I pulled out a small squashed cupcake and lit a candle in it with Sam in the tent. It was a small moment of joy on a very difficult day for us both. Later that night, Sam groggily asked me to stop touching her head. I mentioned I wasn't and as she put her hands through her hair she jolted upright. "There is a MOUSE in my hair!" screamed Sam. As I switched on my headlamp, not one, but three mice scurried around the tent, terrified by the bright light. I saw they had chewed a hole in the wall of the tent and had found the wrapping from the cupcake that I had forgotten to pack away. I wanted to kick myself for my stupidity. We spent the next five minutes shooing the mice from the tent and back into the rain. Overnight the weather had somewhat abated and so we attempted a second crossing. Thankfully the waters had receded and no longer splashed as violently onto the log. After a few tense moments with another hiker named 'Splob', we were able to cross the log and continue on our journey to Canada. Skykomish was the second last stop on the trail and it was a place where we were forced to say goodbye to many good friends. While most had decided to hike to the very end, worsening conditions and limited time on visitor visas had forced some to skip or leave trail early. I still vividly remember curling up on a couch and watching an old VHS movie of Galaxy Quest in the basement of the hotel we were staying in. This peaceful and happy evening was one of the last times we all spent together before splitting up the following day. 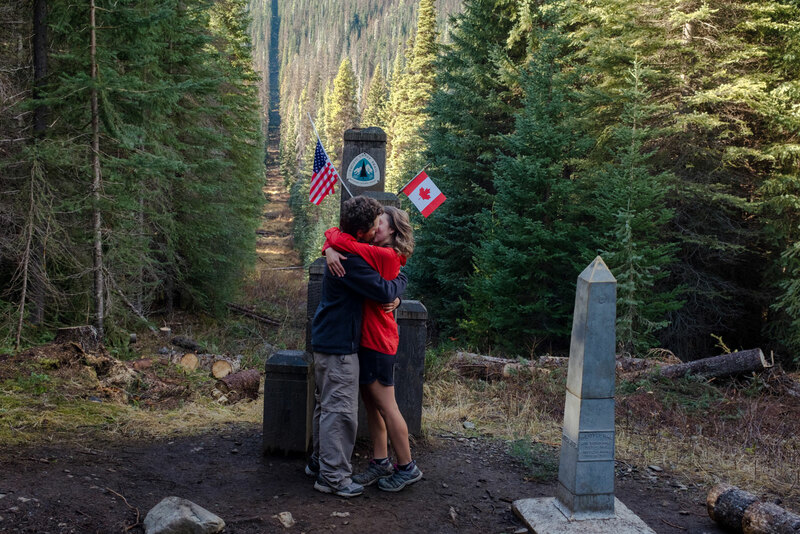 It was truly a surreal experience when we finally reached the Canada / USA border. I can still remember counting down the miles on the last morning as we approached the border. Each mile felt longer than the last, until finally, we came across a narrow strip of clear-cut forest, stretching as far as the eye could see in either direction. The border was denoted again with five posts driven into the ground (this time crafted from metal) to mark the trailhead. We both felt an overwhelming rush of emotions as we crossed the finish line. For the last seven months, we had been driven by the simple goal of putting one foot in front of the other- all in pursuit of this very moment. It was both a very happy and a very sad moment... a point of transition. We were ecstatic about completing our end-to-end goal, but at the same time, we were heartbroken to know that our journey had finally come to an end. Looking back on it, I think a lot of people who are lucky enough to live through an experience like this often end up viewing their lives in two halves: before the experience and after it. While each journey is an innately personal experience, the life I spent ‘on trail’ greatly shifted my outlook, values and philosophy on life.